An Oslo studio founded in 1998, K8 specialises in innovative design solutions to social and environmental problems. The studio’s work is extraordinarily wide-ranging, and includes everything from hydrogen fuelling stations and medical equipment to product packaging and the pioneering Stokke Xplory baby buggy. K8’s work has been honoured with a number of prizes over the years, and the company prides itself on its bold and playful approach to tackling complex global problems. 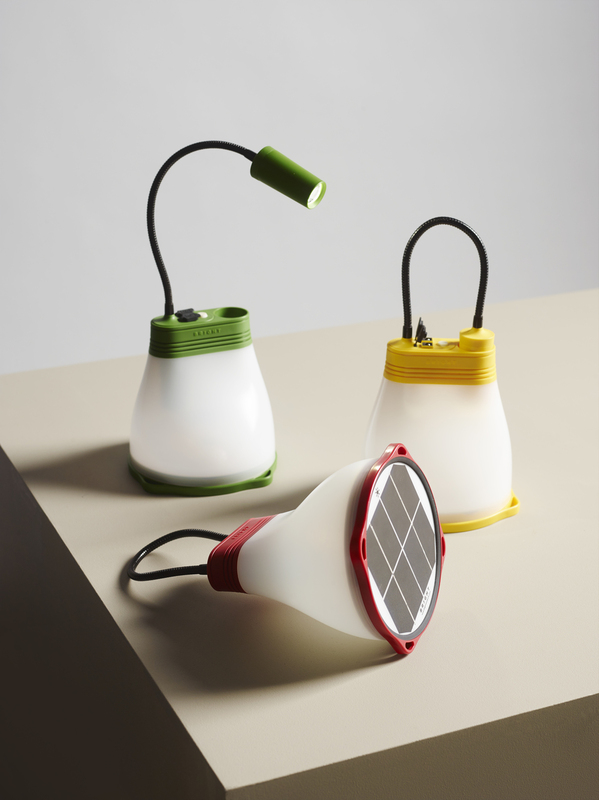 The recipient of numerous design awards, the K8-designed SunBell solar lamp is a highly versatile and multifunctional lighting solution designed for off-grid regions of the world. Its LiFePo battery charges in 3–4 hours of sunlight, after which the lamp can be used as a reading lamp, ceiling lamp, flashlight or mobile charger. The SunBell is fitted with a dimmer switch, allowing three levels of LED intensity and operating time. A 3m cable is concealed beneath the solar disk, allowing the panel to be placed outside to charge while the lamp is used to illuminate an interior space. 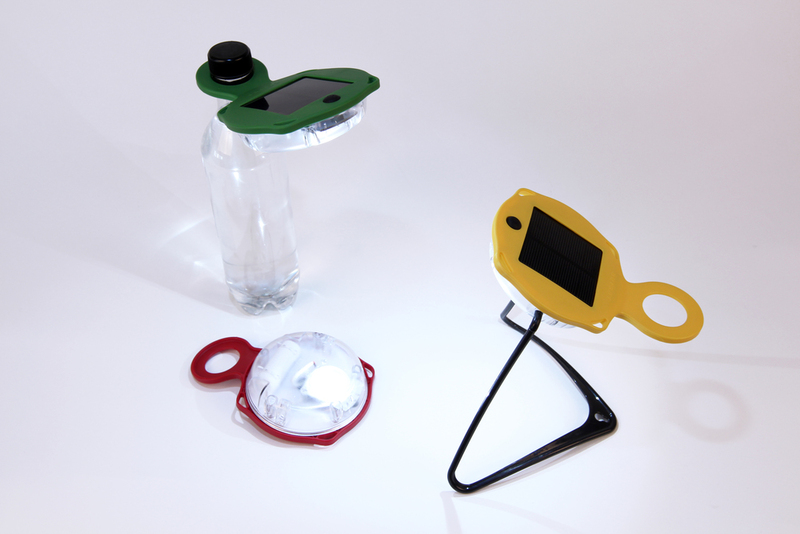 The SunBell’s sister product, the SunTurtle, is a portable solar lamp designed to meet the varied needs of those living without electricity in Africa, Asia and Latin America, as well as hikers and campers around the world. It features a loop that allows it to be hung on a wall or attached to the neck of any standard PET bottle, creating a desk lamp, as well as a patented flexible foot that allows it to stand on a table or attach to a ceiling. In addition, a central plate allows airflow under the panel, thus reducing the battery temperature. Both SunBell and SunTurtle are produced by BRIGHT Products, which was established in 2011 by Norwegian advertising specialist Kristian Bye and K8 co-founder Marius Andresen.